El Mac, Retna and myself were commissioned by Yosi Sergant to create a mural for the Manifest Equality event held in Hollywood, Calif from March 3-7 of 2010. From February 26 to March 2 we painted day and night using imported spray paint and 3 scissor lifts to create the 20 x 100 foot semi-grayscale mural located in the parking lot of the former Pic-n-Save/Big Lots. 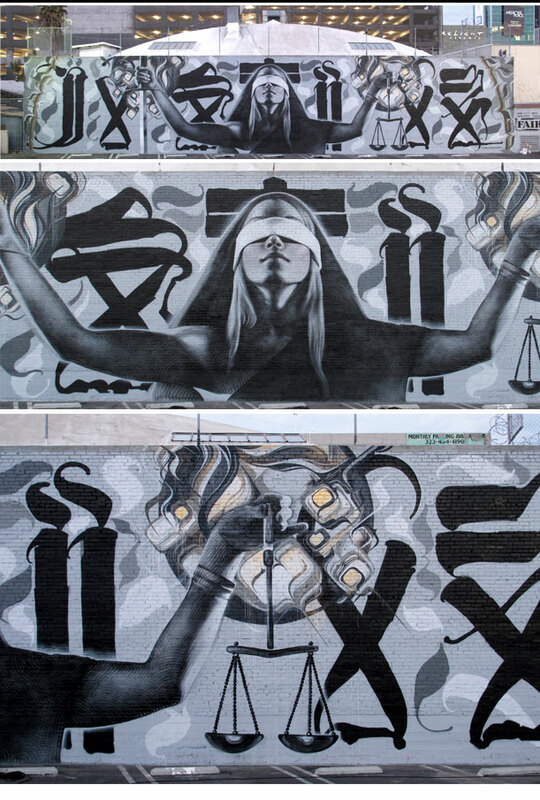 Retna’s type reads ‘JUSTICE’ from left to right. El Mac Painted the portrait of the woman, the sword as well as the scales, all created from his own photo reference. I painted the large circular frame caping each end as well as the halo’s behind each hand. It was a pleasure working with both artists again and even more so together in a trifecta of sorts for Los Angeles. 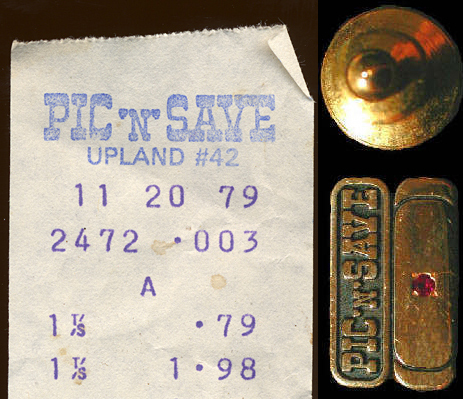 Many thanks to Tom, the Sergants, Apple Via, FAIR & Mid-City Arts for the support.